^ Christopher Buecheler [email protected] (June 24, 2008). 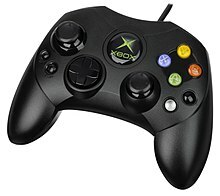 "GameSpy.com - Hardware: Xbox Controller S". Archived from the original on June 24, 2008. Retrieved November 11, 2010. 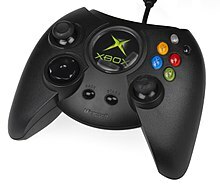 This page is based on the Wikipedia article Xbox (console); it is used under the Creative Commons Attribution-ShareAlike 3.0 Unported License (CC-BY-SA). You may redistribute it, verbatim or modified, providing that you comply with the terms of the CC-BY-SA.